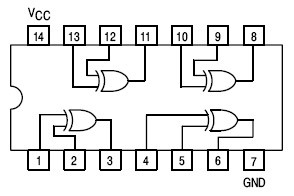 The half adder circuit performs binary addition on two one-bit binary inputs. The output of the circuit are the sum and the carry bits. Observe that the sum bit is equivalent to the Exclusive OR (XOR) operation: if A or B is 1 the output is 1, but if both A and B equal 0 or 1 then the output is 0. Observe also that the carry bit is equivalent to the AND operation: if both A and B are 1 then the output is 1, otherwise the output is low. 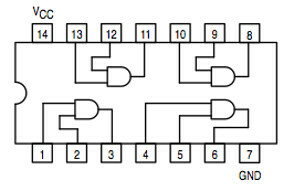 The half adder circuit performs the operation by routing the A and B inputs to both a XOR gate and an AND gate. 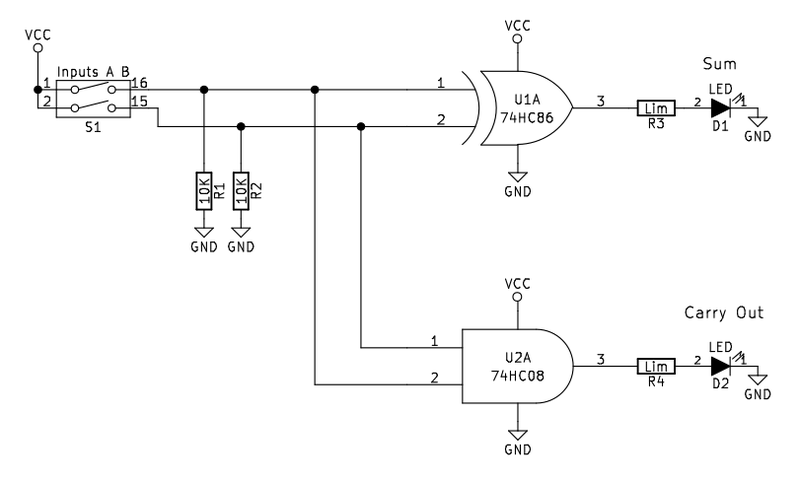 The half adder is implemented here using 74HCxx series high-speed CMOS digital logic ICs: the SN74HC86 (7486) and SN74HC08 (7408).